Steve Jobs died today at the age of 56. 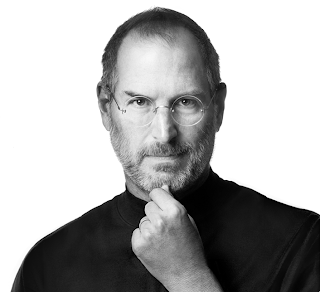 I don't know much about him except that I adore and marveled at many of his visions and inventions such as apples' products which are so groundbreakingly genius. I accidently came across his commencement speech given to Standford students in 2005 and It has become a powerful reminder to me about faith. Just like everyone else in many points of my life I feel unsure, insecure, and I questions where I am heading to. Where Sopha & Co. is heading to...? I got caught in my ego, which got me worry about what people think and led me to try prove the world of how good I am. In his speech he reminds me to do just the opposite. Today is a memoir to reconnect and embrace who I am and trust life and where it leads me to. "... and most importantly have the courage to follow your heart & intuitions, they somehow already know what you truly want to become. Everything else is secondary."